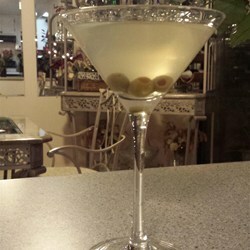 The cocktail culture has made this restaurant drink recipe, the Dirty Martini Recipe a favorite. This restaurant drink recipe is the most searched for martini recipe online. It is a favorite restaurant drink recipe. 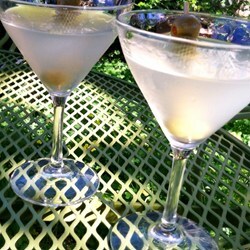 A Dirty Martini is simply a classic Martini (gin or vodka) flavored with olive brine. So long as you are conservative with the olive brine, you will have one of the best, most delicious cocktails ever to enjoy. Too much olive brine and the cocktail becomes undrinkable so please be conservative. Enjoy your Martini Recipe and all the restaurant drink recipes on the website and the company of those you share them with! “A man must defend his home, his wife, his children and his Martini."